Remove the tail lamp assembly. Refer to Tail Lamp Replacement. 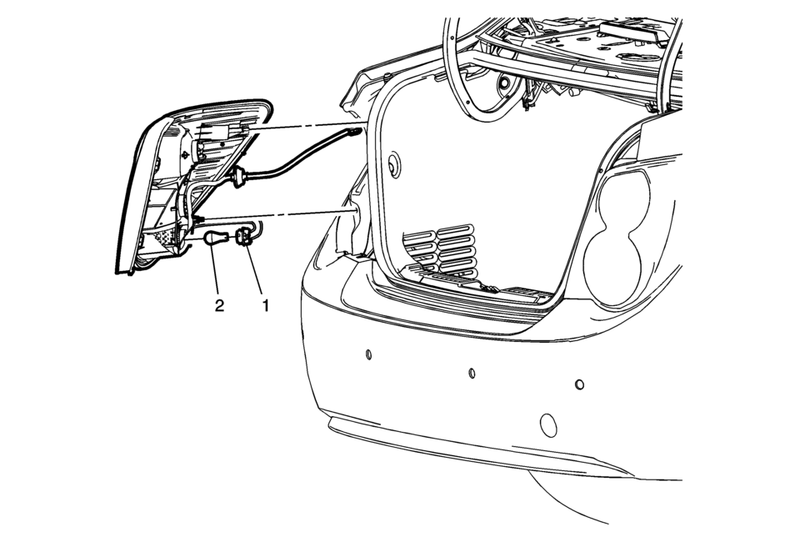 Rotate the back up lamp bulb socket counter-clockwise and remove from the tail lamp housing. Push inward while rotating counter-clockwise on the bulb and remove from the lamp socket.